Narrowing down and filling out your guest list. Finalizing venue arrangements. And the planning details – large and small – just keep coming! 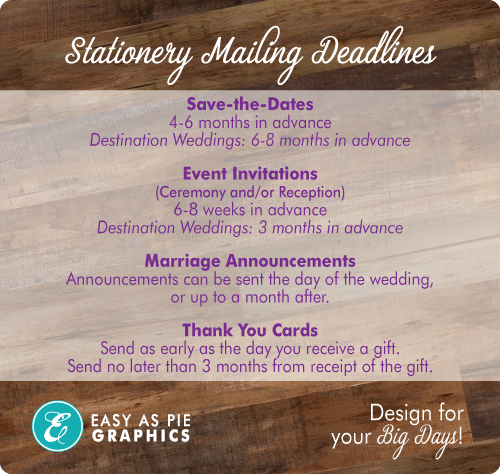 One detail that you definitely do not want to overlook is your stationery mailing deadline(s). That lovely stationery that you hand-picked (or had custom-designed) needs to be mailed within a certain timeframe before (or after) your event. Avoid unnecessary last-minute stress by scheduling your addressing/assembly party to meet these dates. Here is a list of general recommendations for when each piece should be in your mail carrier’s hands. Additional time is called for if you have guests who are traveling far to attend your wedding. Once ordered, your stationery requires production time for design/formatting, printing, and shipping to you. 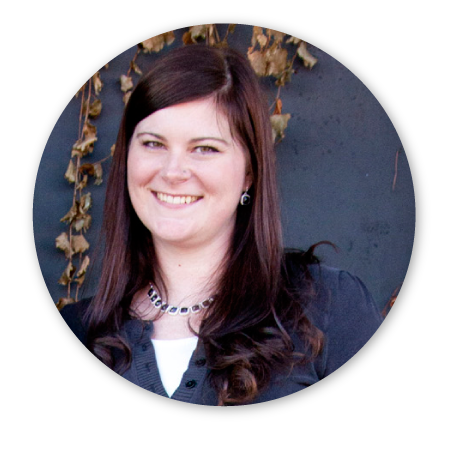 It typically takes additional time to assemble and address invitations, write thank you cards, etc. before you can mail them off. Account for as much extra time as you need for these considerations. RSVP deadline: This is the date by which you need guests to respond with their RSVP. This deadline depends in large part upon your vendors’ deadlines (caterer, bar, venue, etc.). Typically vendors want a final guest count 1-2 weeks before your event. In general, it is wise to request a reply 3 weeks before your date (this allows time to call guests who have failed to reply before your vendors’ deadlines). Confirm the date your vendors need this final count before ordering your stationery. Planning for postage: Include the costs of this detail in your budget. Ensure that each piece has sufficient postage by taking a completely assembled invitation to your local post office and verifying with a clerk.